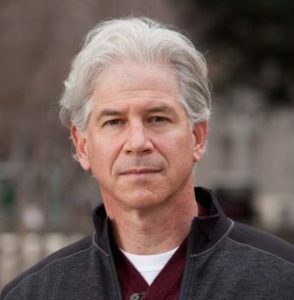 Andrew Fastow will speak candidly about his pivotal role in Enron's dizzying ascension -- and equally dizzying collapse -- as the biggest accounting fraud in all history, and one of the biggest corporate bankruptcies in US history. "Cyber War: Is Your Board ‘Battle Ready’? (hear from the FBI and cyber experts and stay ahead of the ever-morphing ‘enemy’)!" Our panelists David Finn, Norm Fjeldheim, and Philip Celestini will discuss the current state of cyber threats, where it is coming from, its exponentially developing frequency and sophistication, and what boards & management teams can DO about it. Leonard Comma, Neil McDonnell, & Marshall Goldsmith discuss how the responsibility of a board should go beyond "hiring and firing" and extend to support & guidance for the CEO. "FRAUD! The Director’s Role in Detection and Deterrence"
Join us May 10th for our next breakfast event, "It's Dangerous Out There: What is the Board's Role in Security?". Don’t miss our expert panelists Chuck Adams, Vickie L. Capps, & Robert E. Hoffmanwho have been through more than a few rough market cycles and protracted periods of capital constraint. "A Fireside Chat with David Pyott, former Allergan Chairman & CEO (1998-2005)"
Join us for a far­ reaching conversation with David Pyott, one of the longest tenured pharmaceutical CEO’s in history. "Ambassador Clark T. Randt, Jr.: Realities of Business in China 2016"
Meet Ambassador Clark “Sandy” Randt, the longest serving U.S. Ambassador to the People’s Republic of China in history (2001­-2009). He is a true insider's insider with more than 30 years of experience as a diplomat, recognized expert on Chinese law, and businessman with a comprehensive understanding of Chinese industries.